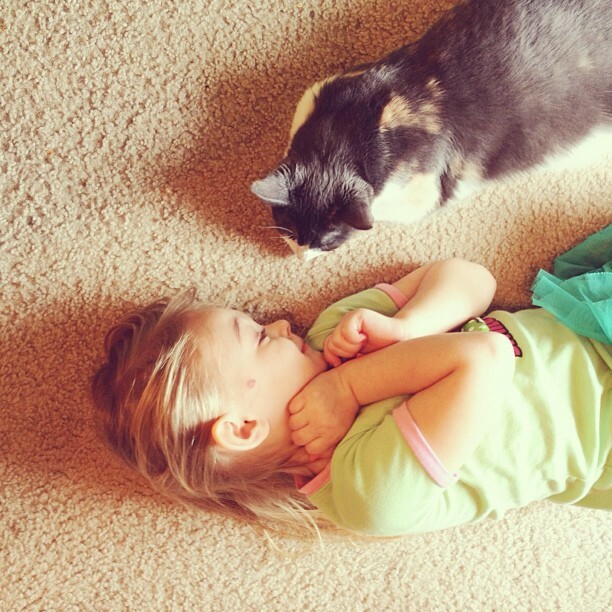 There have been a bunch of sweet moments this week captured thanks to instagram! Love was in the air, crafts were made, and the kids were just cute as always. It was a really relaxing week and we had a lot of fun preparing for Valentine's Day! 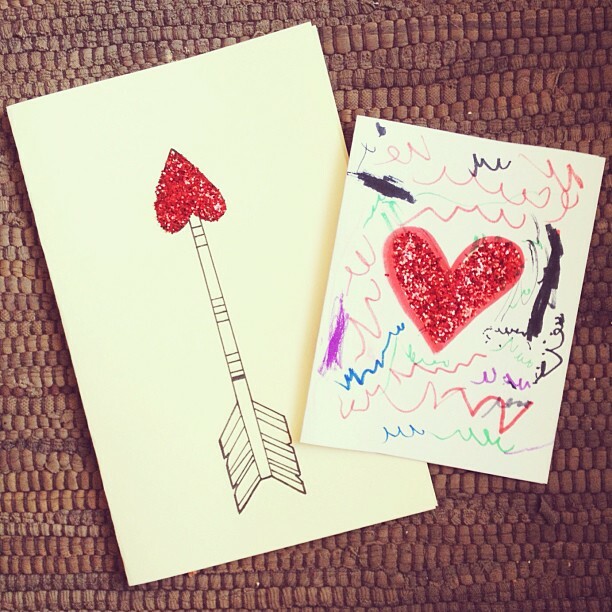 Marli and I made cards for Daddy and we broke out the glitter, I'm pretty sure that was the highlight of her week. We enjoyed a relaxing evening together last night, watched movies, and my husband surprised me with flowers and chocolates! All in all a successful Valentine's day with the sweetest people I know. 1.//Hunter wearing his sister's hat, he prefers the pink to his own brown one. 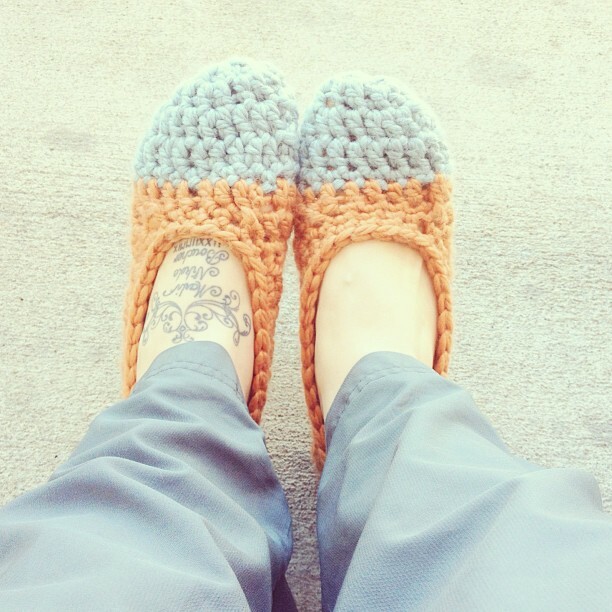 2.//Made myself a little Valentine's Day gift, slipper socks for bumming around the house! 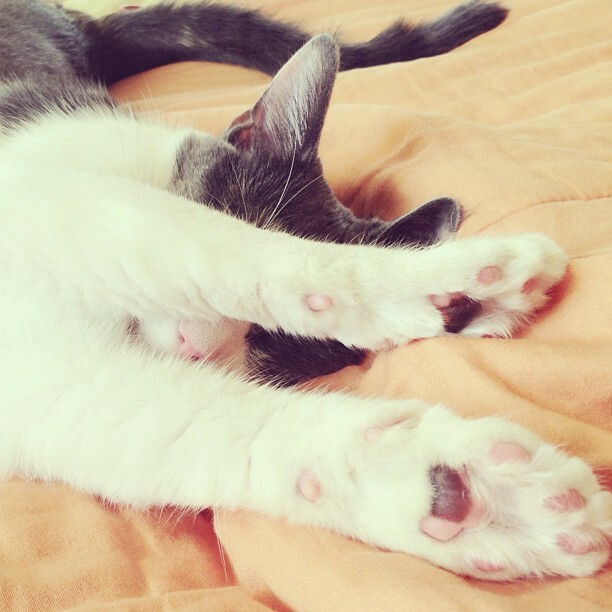 3.//My cat always sleeps with her paws covering her face. 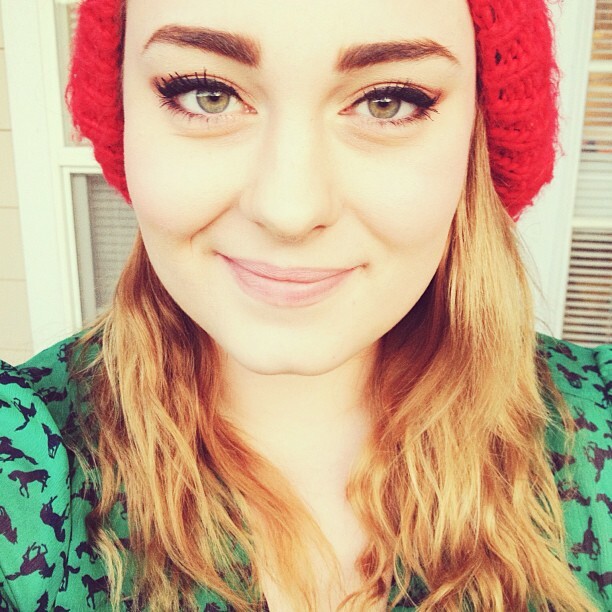 4.//Wearing a knit hat I forgot I had, also a little before shot of my hair. 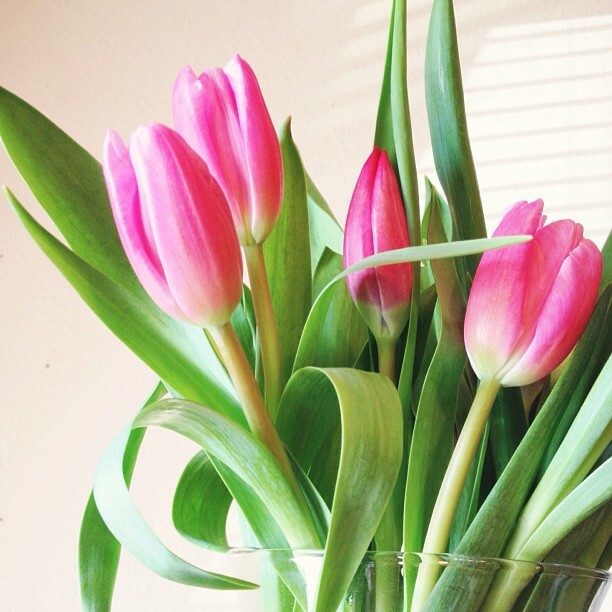 5.//My mom bought me flowers, they were gorgeous. 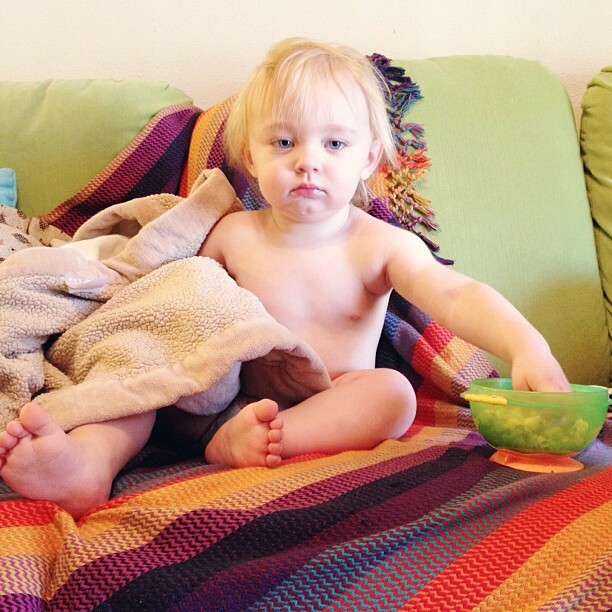 6.//"Don't talk to me until I've had my snack!" 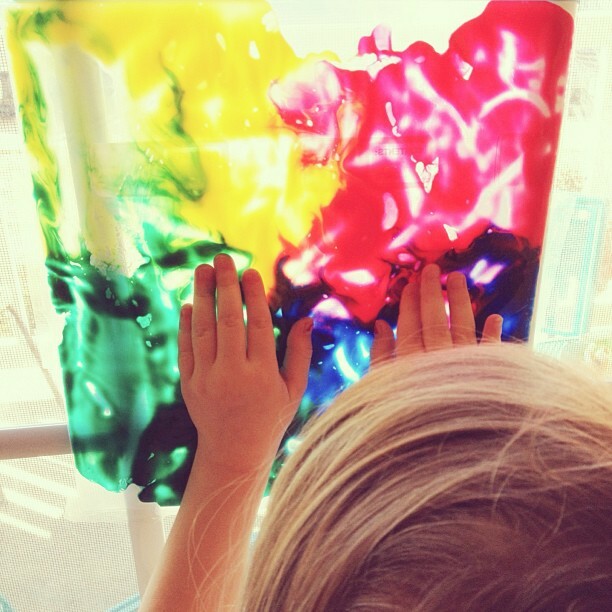 7.// A little window finger painting, Marli really enjoyed this! 8.//Sunbathers. 8.// A little gift from my hubby, two bouquets in one week, jackpot! 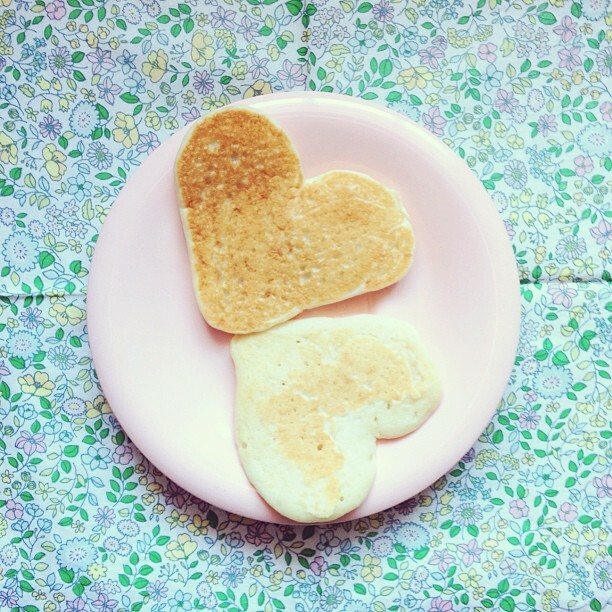 9.// I made all my little love bugs heart shaped pancakes. 10.//Cards for Daddy, handmade with love. 11.// After shot of my heart, a little treat from my lovely friend Erika, hair stylist extraordinaire. New follower stopping by from the GFC Collective. Beautiful photos! these are incredible! thank you for sharing! thrilled to be your newest follower! thanks so much for hosting the GFC collective hop! Hello. Found you throught the linky party. Thank you for co-hosting. I am your newest follower. Would love for you to stop by and follow back. The pink cowgirl boots? adorable! Oh and... umm... you're gorgeous! Your eyes really pop! Wonderful blog full of great information and images. 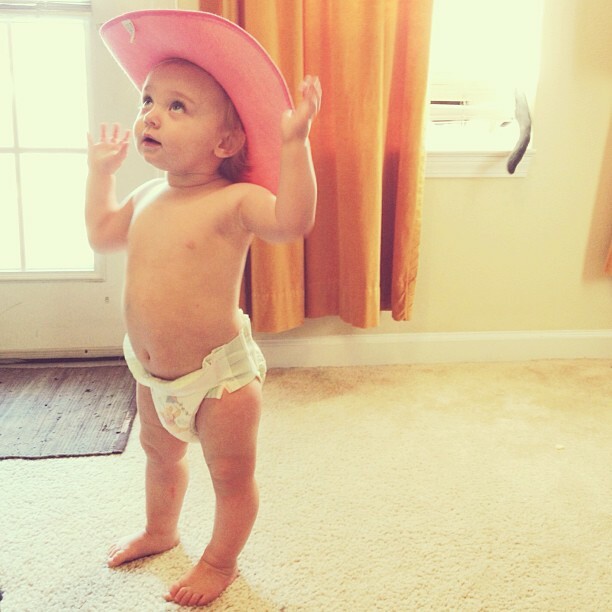 Love that pink cowboy hat! Adorable. Visiting and following from GFC Collective Blog Hop. Have a great week! Hi. I'm a new follower from the blog hop. 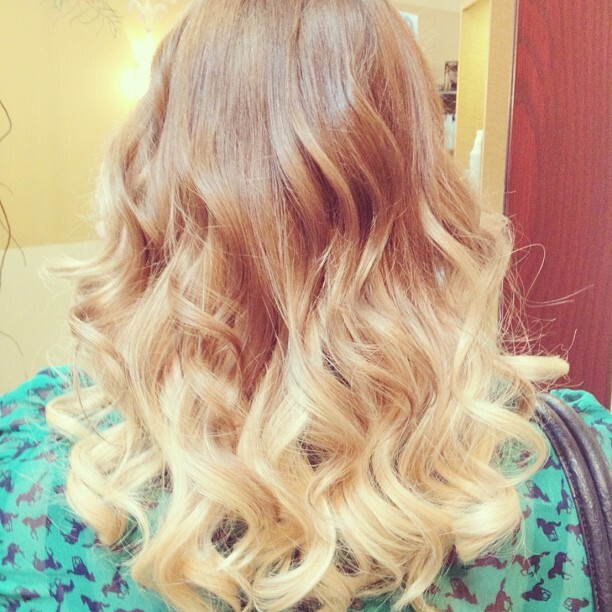 Your hair looks amazing. I'm a new follower for the Blog Hop. Looking forward to doing more! Ok I love your blog. 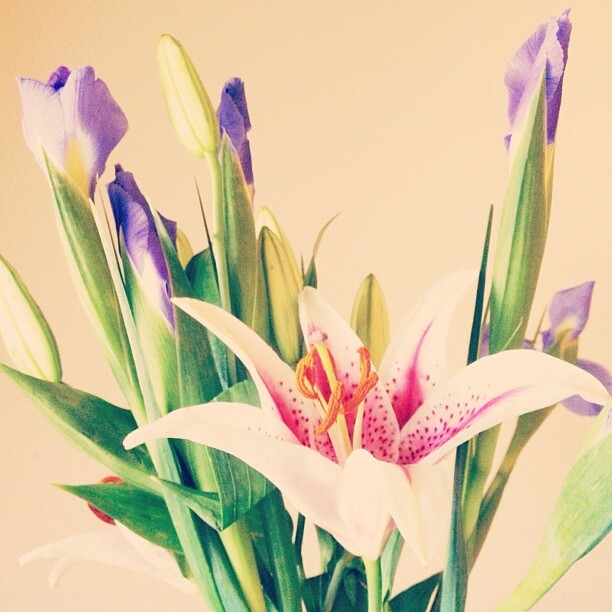 I'm a new follower via Blog Hop and would love it if you stopped by my blog! New follower for you, form the GFC collective! Thanks for co-hosting! Lovely photos! 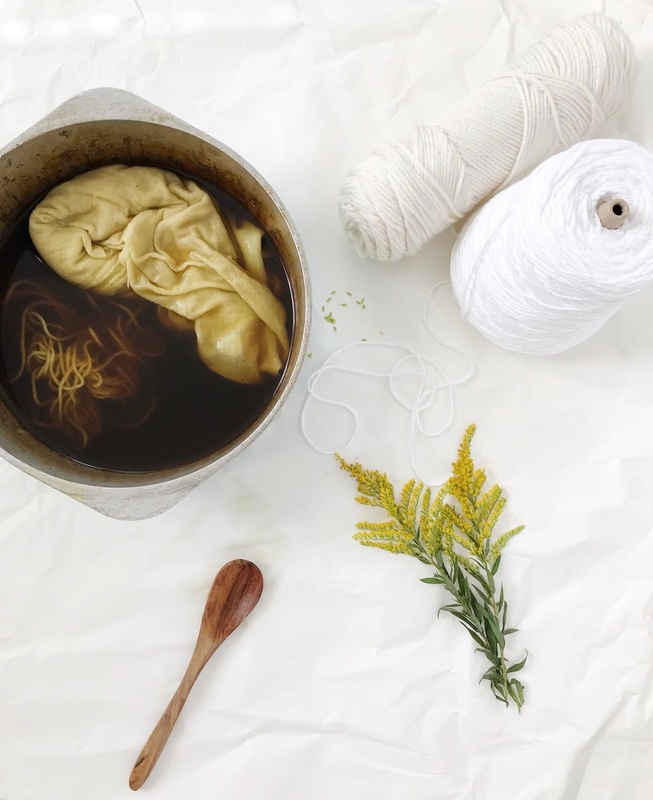 new follower from the blog hop GFC collective.